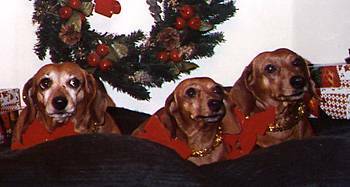 Momma, Midgie and Margret in their holiday finest! 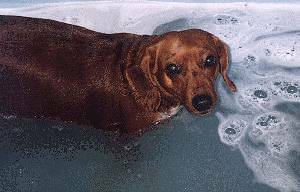 This is Margret enjoying her bath, as if to say, "Awww... do I really have to get out ALREADY?" 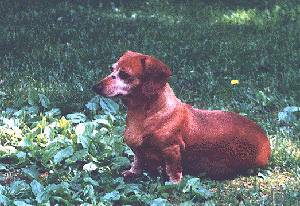 She LOVES a bath; yup she's a doxie! Momma on guard duty! Squirrel at 12:00!! 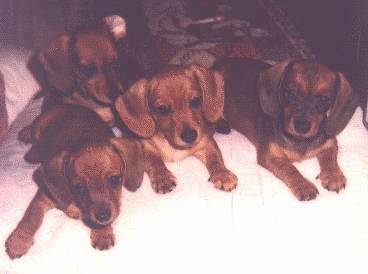 Momma's pups....seems so long ago.....2 Ms and their sisters!